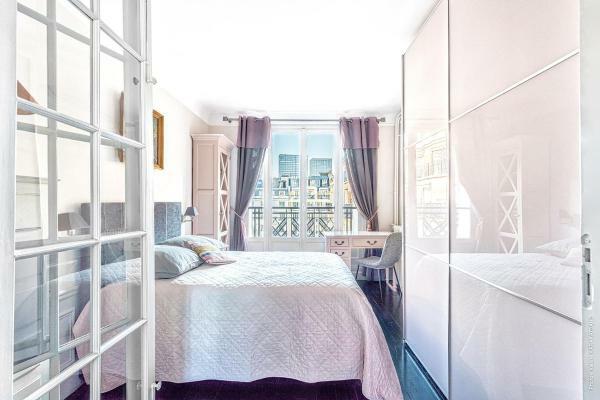 Delightful 1 BR - Eiffel view is situated in Paris. It is set 1.1 km from Eiffel Tower and offers free Wi-Fi. This air-conditioned 1-bedroom apartment comes with a kitchen, a seating area, and a satellite flat-screen TV. Offering a terrace and garden view, Appartement Trocadero is situated in Paris, 1.3 km from Eiffel Tower and 1.5 km from Arc de Triomphe. Providing free Wi-Fi, the property also has a shared lounge. Unique Duplex 160m2 has a patio and is located in Paris, within just 700 metres of Arc de Triomphe and a 12-minute walk of Palais des Congrès de Paris. Guests staying at this apartment have access to a fully equipped kitchen. Studio Eiffel Tower - Champs Elysée offers accommodation in Paris. Studio Eiffel Tower - Champs Elysée boasts views of the city and is 800 metres from Arc de Triomphe. Free Wi-Fi is available . The unit is equipped with a kitchen. 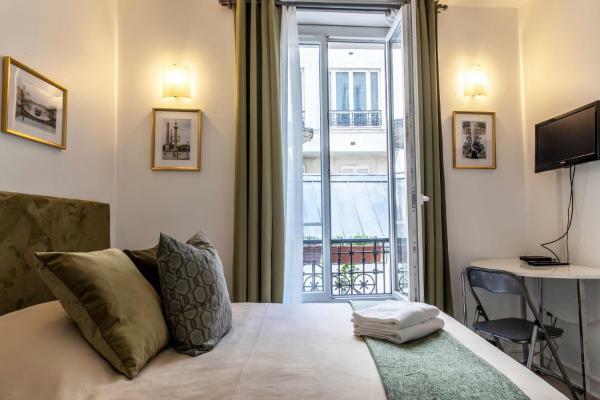 Located 500 metres from Arc de Triomphe, Foch Elysées Apartment offers accommodation and free Wi-Fi in Paris. Each unit comes with a fully equipped kitchen with a dining table, a flat-screen TV and a private bathroom with shower and free toiletries. Set in Paris, 1.4 km from Eiffel Tower and 2.1 km from Parc des Princes, Appartement Liberté - Maison de la radio offers free Wi-Fi. Guests staying at this apartment have access to a fully equipped kitchen. 1.2 km from Eiffel Tower, Dreamyflat - Eiffel Tower is located in the 16th arr. District of Paris. Guests staying at this apartment have access to free Wi-Fi and a fully equipped kitchen. Located in Paris, this apartment features a terrace. The unit is 300 metres from Arc de Triomphe. Free Wi-Fi is provided. This apartment features a sleeping area, an equipped kitchenette and a dining area. Pick a Flat - Eiffel Tower View Studio in Paris offers accommodation with free Wi-Fi, 800 metres from Eiffel Tower. 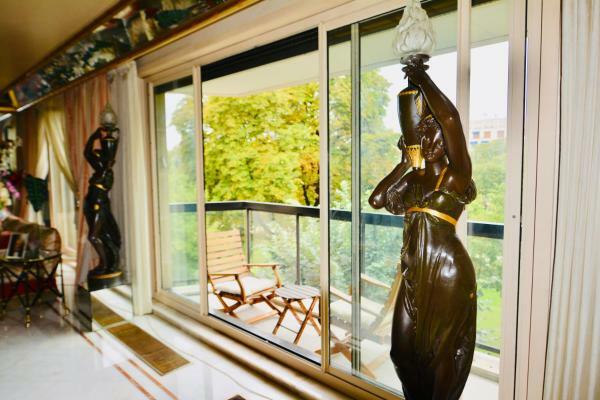 This property is 1.2 km from Arc de Triomphe. The apartment is fitted with a flat-screen TV and 1 bedroom. B&B Paris Tour Eiffel is a B&B located in Paris, just 500 metres from the Eiffel Tower. Set in an apartment with balcony and garden views, it offers a laptop and free Wi-Fi access. Located in the Montmartre district, 600 metres from the Sacré Coeur Basilica, this apartment is provided with free Wi-Fi, an LCD TV and a dishwasher. Abbesses Metro Station is 300 metres away. Located in the Montmartre district of Paris, Montmartre Apartments Audran is just 600 metres from the Sacré Coeur Basilica. Abbesses Metro Station is just a 4-minute walk away and allows direct access to Place de la Concorde. Located in Montmartre, this modern studio offers self-catering accommodation just a 3-minute walk from the Sacré Coeur Basilica. 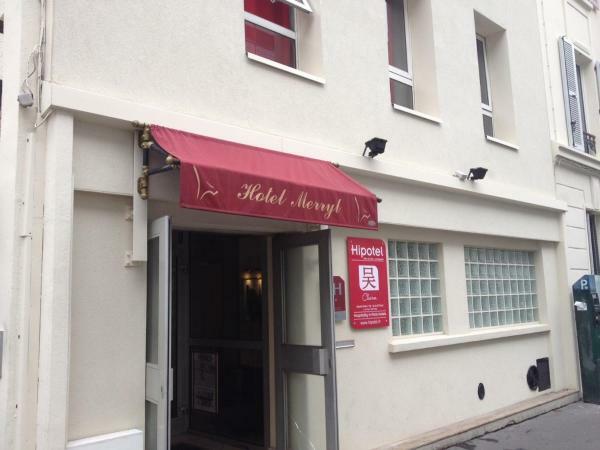 The Moulin Rouge is just a 15-minute walk away. 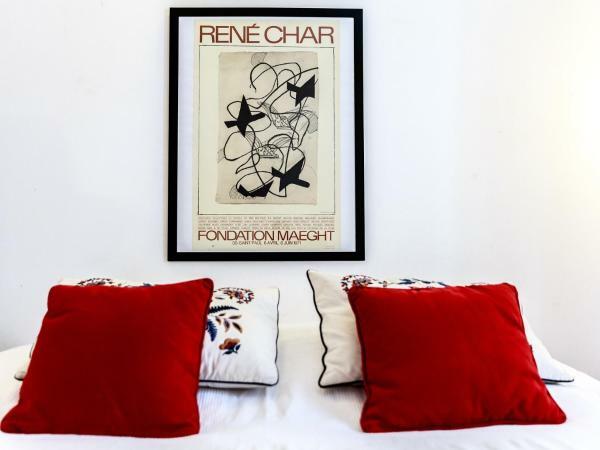 Located 400 metres from the famous Moulin Rouge, the apartment enjoys a central location in the Montmartre district. It offers a self-catering apartment and free Wi-Fi access. The studio has an en suite bathroom, flat-screen TV and parquet floors.